AncestryDNA is one of the most popular DNA testing kits out there. Most recently, Ancestry added a new feature called AncestryDNA Traits, which allows users to see how their genetic inheritance relates to their DNA and heritage. To see if the new feature was actually worth the extra money in addition to already purchasing an AncestryDNA testing kit, I decided to see what my "traits" are and how the new program works. 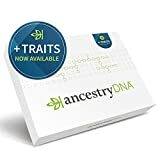 If you’ve already taken an AncestryDNA test you can get Traits for just $10, or you can add it onto a new test for the same price. No matter which route you take, you’ll get a ton of information about your genetic markers. Traits breaks down 18 different appearance and sensory traits such as earlobe type, iris patterns, male hair loss, asparagus metabolic detection, cilantro aversion, and much more. According to the site, more traits may be available in the future (and may also come at an additional cost). 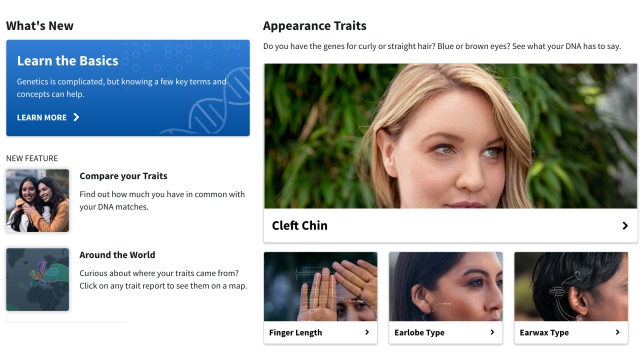 A glimpse of what the AncestryDNA Traits homepage looks like. When you first access your Traits results, it gives you the low down of genetics and how likely you are to inherit a trait through genotype and phenotype. The whole shebang. It’s basically a refresher of high school Biology, but important to read so you can better understand your own results. As you click on each specific trait, you can see what characteristics you are likely to have based on your DNA. It’s actually pretty cool. Even though you can find out most of these traits from just looking at a mirror, other characteristics like iris patterns, male hair loss, and bitter flavor sensitivity aren’t as apparent, so they were more interesting to dive into. You also get access to a "Compare" feature and an "Around the World" feature, which allow you to compare your traits to your DNA matches and to others from the same regions as you, respectively. Depending on your genetic heritage, you may have many regions to choose from, but in my opinion, this is the most interesting feature of Traits because it goes beyond the traits you can see in the mirror and connects it to your ancestry. 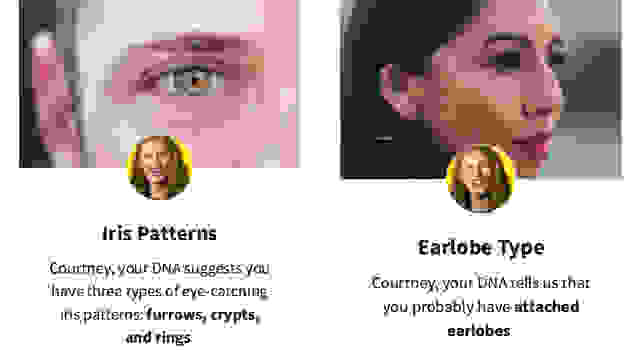 Through AncestryDNA Traits, I was able to learn more about my iris patterns and earlobes. Now, Traits isn’t always going to be 100% accurate. For example, it said I should have “naturally wavy” hair when it’s definitely very curly. And it suggested that I would have a cilantro aversion when I very much enjoy the controversial herb. You are able to answer a questionnaire to tell AncestryDNA your actual trait, so the service can update the information accordingly and hopefully make more accurate suggestions as it evolves. Traits also give you a wealth of information regarding each trait, including a breakdown of the genetics as well as other environmental factors that may cause someone to show this physical or sensory characteristic differently. This explains why some of my results were not perfectly spot on. 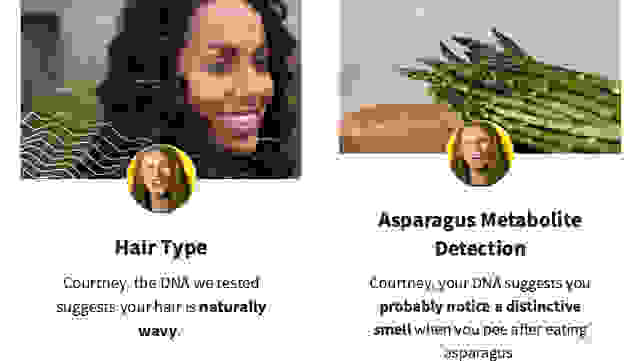 According to my DNA, I should have wavy hair and be able to detect asparagus in pee. The genetic exploration feature goes further by homing in on the science of the specific chromosome linked to each attribute and how likely you are to pass it on to your children. This information is more general than it is specific to you, but is interesting to learn about nonetheless. Since AncestryDNA is used to show users their heritage through their DNA, Traits furthers this by breaking down the percentage of people with a certain trait in each region, which you can compare your own traits to. It doesn’t specifically tell you what region your specific traits may have come from, but with just a little sleuthing and common sense, you can get a general idea at least. However, depending on how many regions make up your heritage, this might be a little bit difficult. But it does show you how unique your DNA is compared to other users. For example, I'm in the 12% of people with Germanic European heritage who has curly hair, making me a little more unique than the general popular and therefore feeling pretty dang special. I can compare my curly hair traits with others who have heritage in the same regions as me. 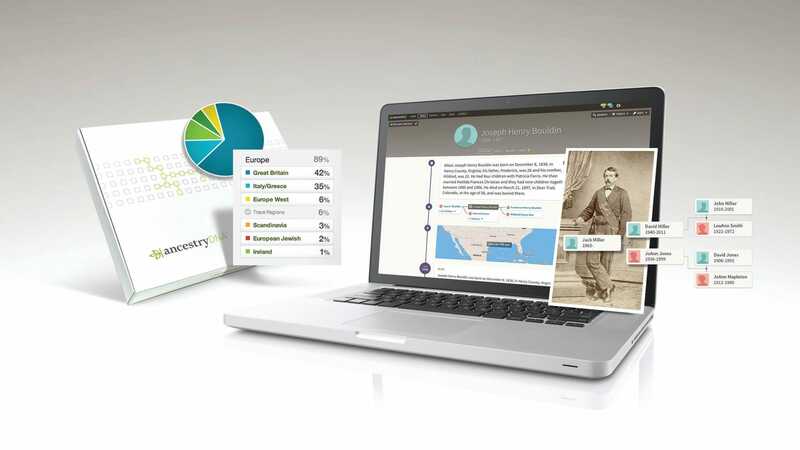 This information is based on what other Ancestry members have reported as part of their Personal Discoveries Project rather than the characteristics found through Traits. But it’s still interesting to compare my own genetics to others with heritage from the same region. Traits also gives you the option to compare your genetic markers with your DNA matches, which is interesting to see how close your appearance or sensory qualities line up within your bloodline. Unfortunately, since this feature is so new, you may not have any connections to compare your results to. As of now, none of my DNA matches have purchased Traits, so this feature is useless to me until someone does. Since it only costs $10, I may be able to convince a relative who's taken the DNA test already to join in so we can compare our traits. It could also be a great gift for anyone you know who's taking the DNA test. Additionally, most of the information seems pretty general right now with most of the research being the same for all Trait users. But since AncestryDNA is already updating to more specific regions as more and more users join the database, I’m hoping that as more members add Traits, the service will get more specific in their breakdown of information. No matter how interested you are in this extra data, for $10 Traits is completely worth adding on to your AncestryDNA profile. Like the AncestryDNA Testing Kit, it’s really up to the user to determine how they want to use the information from Traits to learn more about their DNA and heritage and it's a great start to discovering more about yourself. There are other DNA testing kits that focus more on how your DNA affects your health and traits like 23andMe Health+Ancestry. This DNA testing kit also costs $200, which is $90 more than purchasing both AncestryDNA and Traits. Plus at just $10, we think its the perfect price point to get a little peek into how your DNA impacts your characteristics.